Whether you need a simple repair or a complete home renovation, Homecraft® Inc. delivers the best in craftsmanship, materials and products built to perform. We think all our customers deserve one-on-one attention, which is why we offer dependable, reliable, dedicated and friendly contractors. Siding, window replacement, doors, gutters, and roofing: we do everything to make your home look great. Homecraft® Inc. is proud to install only the most respected brand name materials and exceptional customer service at affordable prices in Camden DE, a small town of 3,400 in Kent County, part of the Dover, Delaware Metro Area. We love working here to improve the value of your home. If you’re sick and tired of throwing good money after bad, you should invest in some long-lasting replacement windows with our help. For the ultimate in energy efficiency and beauty, vinyl replacement windows by Homecraft® or wood replacement windows by Andersen® are the right choice. Partner with Homecraft® Inc. for durable entry doors that are unmatched in quality. Our beautifully crafted front entry doors will amaze you, whether you have a broken patio door and need a new sliding door or need an automatic garage door to replace the old one. Let us become your #1 door company in Camden DE, with experts who can create a brand new entryway with weather-resistant storm doors. Our cedar shake siding or vinyl siding will help your family brave the elements and the test of time. You get access to a variety of styles, textures and colors to match your unique personality, home style, and budget. As your roofing specialists, we offer you the country’s highest quality roofing systems, backed by the industry-leading “Golden Pledge™” warranty protection. It’s time to sleep better under a Homecraft® roof, thanks to the services of dedicated GAF MasterElite™ roofing contractors. Gutters from Homecraft® Inc. can stand up to the demands of the weather. You need well-designed and properly installed gutters to adequately divert the flow of water off your roof and away from your foundation. We do all we can to keep your home safe from water damage, so count on Homecraft® Inc. for your next gutter system. Home improvements add value to your house, acting as a solid investment that will pay off down the road. Our team can make any improvement, repair, or renovation you need because we are continually trained in the best products, materials and installation techniques. Your satisfaction is 100% guaranteed, so come to us to replace worn parts, repair damage, or make home improvements in any room of your house. 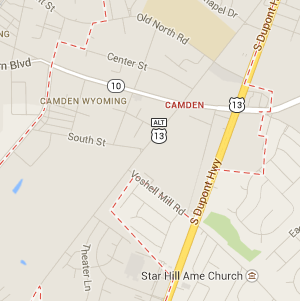 FREE Estimates on Camden Wyoming DE Home Improvement, Windows, Doors, Siding or Roofing. Call Homecraft®, Inc., today at 1-877-494-0377 to schedule a FREE in-home consultation and estimate for your Camden Wyoming DE home improvement project, roofing, siding, replacement windows, doors, or gutters.